This week the baby is approximately 5 inches long and weighs roughly 6oz. She's been focusing on forming layers of fat underneath her skin and from now on her weight will sky rocket and she'll hopefully be putting on a nice little bit of weight every week. She is also mastering simple reflexes such as swallowing, sucking and blinking too. She can also get hiccups which I'm pretty positive I've felt ever so slightly. I've been feeling great! No nausea, heartburn, back pain or headaches. I do seem to get tired really easy but that's expected as it's hard work growing a baby inside you all while chasing around a toddler. I've also started struggling to get comfy at night and often find myself wide awake when I get in bed despite being shattered. 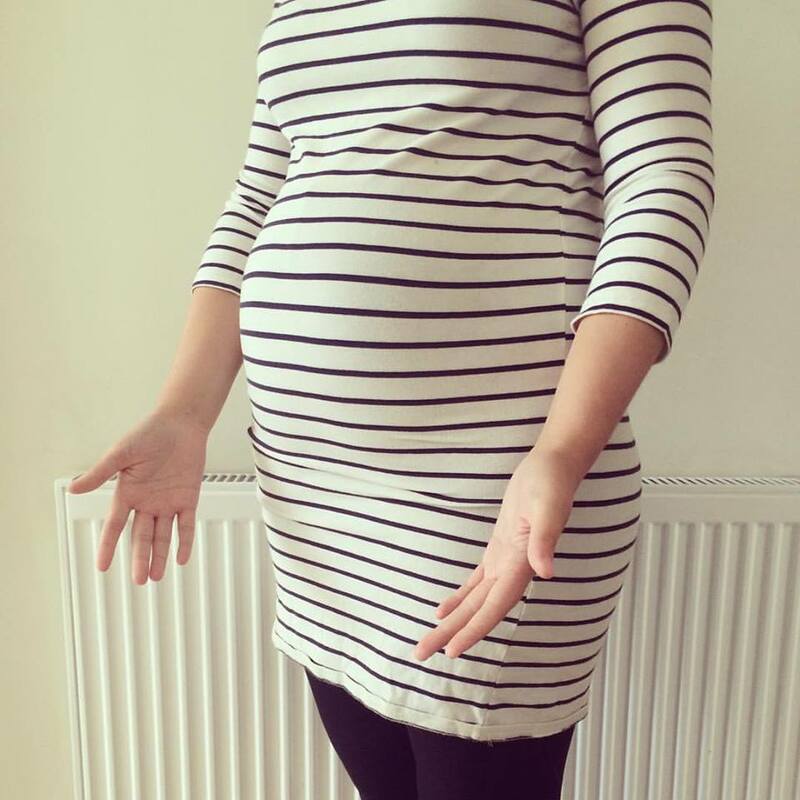 I think my bump has gotten bigger this week as I'm getting more comments on it and it feels more rounded too. Movement wise I'm still feeling her little wriggles and the odd prod but nothing overly strong at the moment. On the craving front there's nothing new, it's still all about oranges and I can't seem to get enough water. One craving I keep getting that I won't be acting on is sparkling wine! I'm thinking of getting a non alcoholic alternative to try and see how I get on! I'm not a big drinker usually so it's a very strange craving to have! We've been trying to think of names a bit more since we found out the gender of our baby but we are struggling with them which comes as a surprise as we didn't have that problem when I was pregnant with Noah. 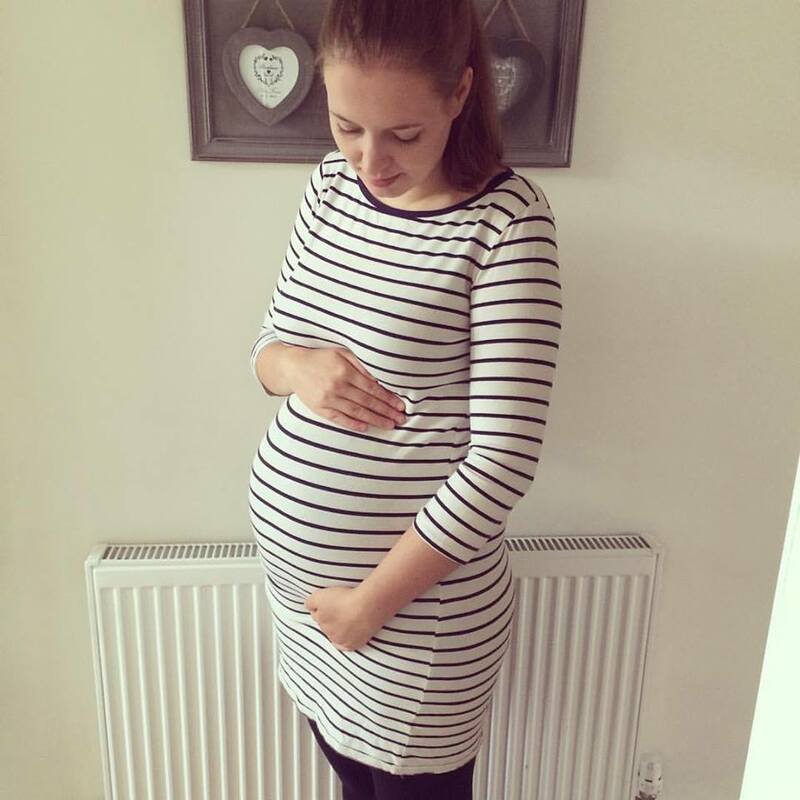 I still can't get my head around how quickly this pregnancy is going! Have come across women stating same / similar feeling whilst pregnant :- baby having hiccups. Remember a friend taking some time to decide on name during her second pregnancy, a girl. She was keen to feel comfortable with all names together e.g. On Christmas cards etc.She did decide before baby's birth and been happy with the name ever since. I think she may have had family discussion with her husband and son, as she seemed so eager to somehow pick the right name. Looks like you have nice stretchy clothing to assist you in feeling comfortable, as your pregnancy bump grows.